I know when I am selling / trading up now. 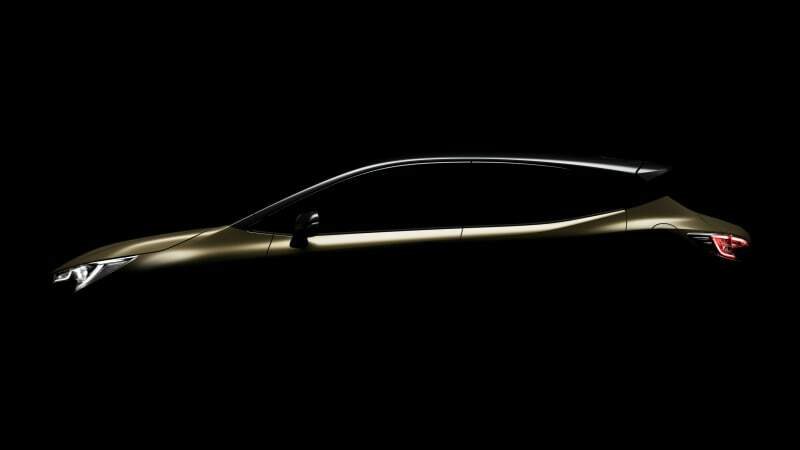 2019 Auris is in the pipeline officially. There are spy photos confirming it is already being tested. If it does get 2.0 engine, turbo or not, I may get right away. It has interior pictures as well. Redesign looks great, more upscale, but still roomy inside. I really like my iM and I would totally get 2019 model when it comes out. I just hope it will have a manual transmission! I can also see Dunlop Enasave tires, which stands for Energy Saving. Those tires are made for hybrids and electric cars, so we may see a hybrid version in the US. Last edited by have2ride; 12-14-2017 at 08:50 PM. I'm waiting until late 2018 to decide on the iM, as I want to see what the newer 'global platform' iM looks like in terms of details & aesthetics - and if I don't like what I see/learn, then go ahead and pick up a 2018 iM in either Barcelona (Dark) Red Metallic (easily the nicest looking iM color!) or Blizzard Pearl White (the most practical color for AZ sun/climate). I've read that Toyota will start using BMW engines in their upcoming Corolla/iM global-platform designs, which is somewhat discouraging, as BMW isn't known for making reliable engines/cars, regardless of the performance candy they may bring. I also read that production will be moved to Mexico on the US/NA version of these cars, which is another big turn-off (the Mexico-built Mazda2 Toyota iA has all sorts of quality issues, as does Honda HRV/Fit vehicles built there). I would rather own a traditional Toyota 2018 iM made in Japan with bulletproof core (even if dated) Toyota mechanicals. Last edited by RAITHSKAR; 12-15-2017 at 05:07 PM. I hope we will get a Toyota engine. My biggest thing is 6-speed manual and a good stereo system or 2-DIN opening, so I can install my audio system in a new car. 2019 iM looks wonderful inside, it is very upscale compared to our model. Updated instrument gauges look great as well, kind of like they look on premium sedans. I am sure it is going to be a great redesign. I will test drive it and then hang on until Toyota offers good specials and incentives. Well, I love the looks! I may upgrade much earlier if Toyota gets everything right. They better keep the manual transmission! Teaser shows a car with more style than the current model. Hopefully, the U.S. will get a decent version of the TNGA 2019 iM/Auris. Toyota loves to skimp on this market, compared to other global markets, which is why the 2016-2018 iM didn't get factory fog-lights, the LED headlights, etc. Likewise, the refreshed 2018 Yaris SE is still being overlooked in the U.S. on the side-mirror turn-indicators, LED tail lights, upgraded climate control system, etc. that are commonplace in other markets on this model. But hey, we all get to pay for the useless Toyota Safety Sense system - great for distracted (stupid), drunk & dementia drivers. have2ride and SuperchargedMR2 like this. Last edited by RAITHSKAR; 03-02-2018 at 09:54 AM.